To record this magnificent work Slava Guyvoronsky needed three things: a good string trio, a good sound engineer and a bit of money. However, the fate was not smiling at him. For years one or two, or all three ingredients, were missing. Then one day it all happened. 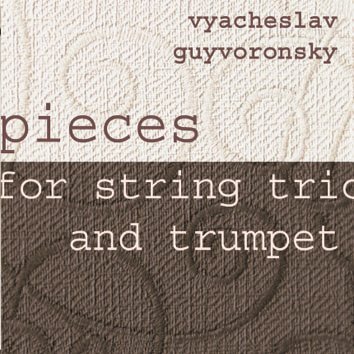 With ten pieces, Guyvoronsky created his most profound work taking us through a wide variety of moods from sophisticated joy to sarcastic irony to deep sadness. If either Mozart or Gill Evans were alive, they would have been proud of this work.